With more than half my records in mono, and a stereo system with no mono switch, some attention to the mono-stereo issue has been long overdue.I am not wanting (at this moment anyway) to get drawn into the arguments about artistic intent, dedicated mono and stereo masters vs fold-downs, studio monitors. The manufacturer of my hi-fi, Linn, does not provide a mono switch anywhere in the system, and not for just for minimalist aesthetic reasons. From a purist performance point of view, any kind of physical switch in the signal path degrades that signal, and there are no mechanical switches apart from power on/off (volume is digitally managed – no moving parts). That makes sense. The idea of tone control knobs, or a bass-boost switch is risible. But the need to address the issue of mono meets with “hardly anyone has mono nowadays” (or so the Linn Marketing Department informs them, demanding an ipod connection point instead) An absent mono switch is a casualty of their philosophy and it has been necessary to listen to mono records in stereo. One solution of course is to spend many thousands of pounds on a dedicated mono cartridge, an additional arm, and a new deck able to host both stereo and mono arms. I am sure it is wonderful, no issue, but what if you could get a similar benefit for just £30? Linn had not bargained for man-in-a-shed, whose solutions work around obstacles created by organisations who think they know better than you what is good for you. Man-in-a-Shed Productions, a friend who understands how to hold a soldering iron by the correct end (which is where I go wrong) came up with a solution to the problem of L-R-C stereo: a simple mono/stereo switch, constructed from demanding audio-grade components, sited discretely between the turntable output leads and the preamplifier. From opinion circulating in the hi-fi community he thought there would be other benefits, but neither of us was fully prepared for what followed. With the toggle switch set to Stereo, left and right channels simply pass through as normal: the signal from the cartridge – whether the record is stereo or mono – heads off for the preamplifier in “Stereo”. However flick the switch to mono, and interesting things start to happen. Here’s the thing. Banished from the left speaker, Monk or Coltrane emerge centre stage, while sidemen return to their natural spatial and musical relationship in supporting the lead. Grandissimo. Converting a stereo record back to mono eliminated the “eccentric” placement of instruments in primitive stereo, as expected. However I was somewhat taken aback by the improvement in sound on mono records when played in mono. Surface noise reduced by about 50% on mono records, as the “bad signal” is often asymmetrical between left and right channels and is cancelled out or much reduced in the merged signal. Hissy vinyl of some Prestige and New Jazz Sixties pressings – manufactured with vinyl incorporating a quantity of recycled vinyl, is significantly reduced, from an intrusive level to a lower level which is fairly tolerable on a lot of them. I can only assume the foreign matter and detritus suspended in the vinyl is asymmetrical in its distribution and therefore a candidate for “cancelling out”. The overall improvement in mono top end – brighter and clearer – is particularly welcome. I have a theory, not that explanation is necessary. I wonder if the upper frequencies encoded towards the top of the groove wall are more prone to differences between the left and right groove wall than the bass towards the bottom of the groove wall. Who knows? As with all interconnects, time is needed for burning in (another experience-based idea) I fully expect this solution to get better and better as the wires and components get used to the new properties of each other. And that is very good news indeed. Attempt to manufacture a mono- stereo switch and post to the US was sabotaged by the US Homeland Security who must have played fun and games with this switch. Despite being obviously “empty” and no threat, someone decided to snip the wires anyway, destroying a legitimate electrical product for no purpose. Assholes. Inconsiderate people. The rationale and function remains the same, is equally effective in audio performance terms, and ergonomically preferable. In an ideal world there would be an led indicating whether the switch was set at mono (red) or at stereo (green), and a microprocessor which analysed the incoming signal according to mono or stereo. The high-end reference model, the Boop-poop-pidoo, would have an energy-saving curvaceous blonde to set the switch for you, and then mix your martini, very dry. But of course, this is a far from ideal world. What actually happens is you forget to set the switch correctly when changing records, and wear out the carpet trudging to and fro to change it. Still, it’s good exercise. Thoughts on ‘rl1856’ comment; I am a Denon DL-102 full time user. Playing mainly sixties and seventies 45rpm’s, few 12″ and some LP’s though, most are MONO, few are said to be “compatible” and others are STEREO (for real or not). So to have a single cartridge that is a true MONO cartridge (single coil) but STEREO compatible/compliant was a necessity for my use. The DL-102 is that and was introduced in 1962 for FM broadcast. And it’s still continued to this day. Affordable for a Moving Coil cartridge, so no stylus swap for it though, but a retip is possible and pricier but done with a bonded stylus… It’s also a high out-put cartridge so no need for an extra step-up transformer if your preamp is adjustable. Mine set by ear at 100 Ohms, 100 pF & 60 dB. It’s rather an “exotic” cartridge. So exotic there’s no compliance specs given by the manufacturer ! Known to be from the ‘low’ kind, my SME3009 tonearm is hopefully very evolutive. So I started my tweaks in effective mass enhancement conversion. Done gradually over a year or so, I truly evaluated the benefits each time. Yes MONO can sound BIG, wide, deep and detailed ! Not so well considered in the Hi-Fi audiophiles circles, it’s the perfect cartridge for music lovers and record collectors who do play their rare and less rare MONO and STEREO records to enjoy them fully in true MONO. Only it needs to be fitted on a tonearm of very high effective mass and fed with other specs than a typical MM or MC. There it shows what an amazing enjoyable cartridge it is. LJC- from monitoring your site over the years, I think you would benefit from the use of a dedicated MONO cartridge. There are many views as to the right type of mono cartridge. There are 2 basic types of mono cartridge. The most common is an existing stereo cartridge adapted to mono. Some just internally connect wires in a way that is similar to your Man In a Shed box. 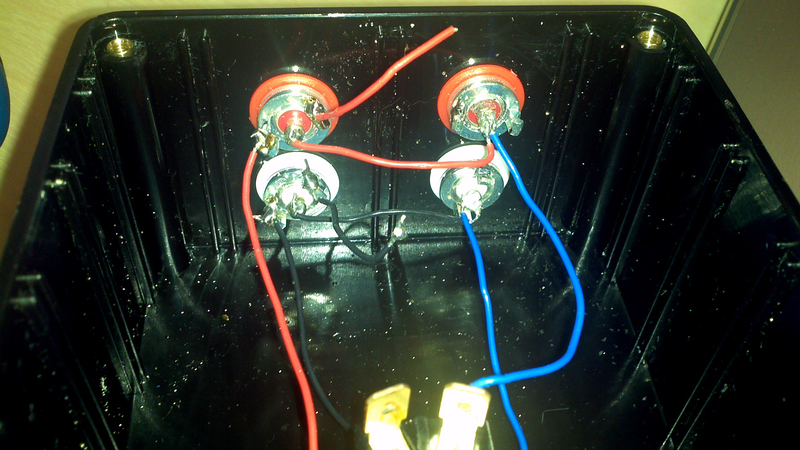 Others actually change the orientation of the coils within the cartridge to minimize vertical response, and then internally connect the wires for a mono output. The less common is a design that is pure mono- no mechanism that would respond to vertical information. The later is preferable. A modified stereo cartridge still produces a signal from vertical information. Strapping (wires connected) is supposed to cancel the information and, re orienting (coils rotated 45′-90′ within the body) is supposed to significantly depress the information. Unfortunately the simple presence of the vertical signal (either nullified or depressed) causes phase anomalies that are audible to some listeners. A true mono cartridge (1 coil if MC, 1 winding/iron/magnet etc if MM) does not produce -any- signal from vertical information, only signal from horizontal information. The results is cleaner, purer sound, with an almost total absence of surface noise. The cheapest pure mono cartridge is the Denon 102 for about $250 US and prices go up from there to several Japanese cartridges. Many like the Ortofon CG 25u, which is available premounted in a SME connection headshell. List price is about $1k US, but it is available cheaper if you look around. Others have had success resurrecting vintage cartridges like the Fairchild 225a, original Decca London, Leak and ESL-Ortofon. All of the later are at least 50yrs old and require a rebuild. I believe Expert Stylus in the UK has experience with these cartridges. Another issue to consider is equalization. Some believe that many pre-stereo records were not recorded with proper RIAA equalization, and this is a subject of heated debate among audiophiles. The more intrepid seek out preamps with variable EQ functions. 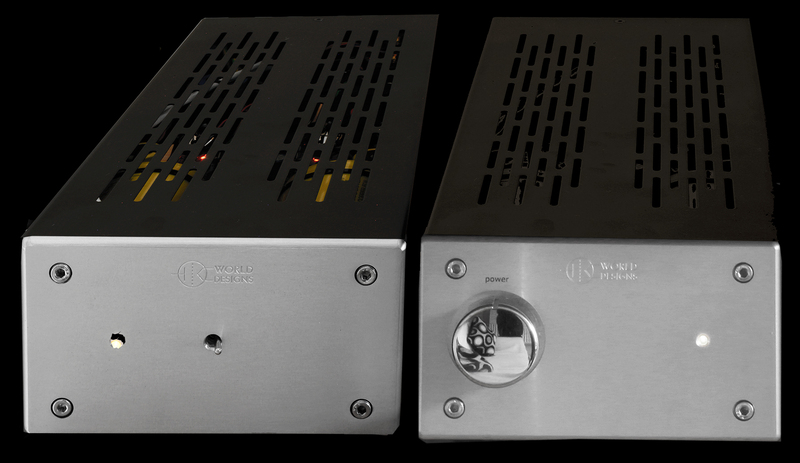 Some new preamps offer this feature, but once again there are more options if one looks for a vintage mono preamp that can easily connect to a modern system. Optimal Mono reproduction (and EQ questions) can be a rabbit hole that is fun for some, tiresome to others. Thank you for chewing this over. I don’t think I need convincing a mono cart is the right way to go, I am sure you are right, but the logistics of a second tt in my room design, hot-swapping carts, a second tonearm, all of these are a non-starter unless they include a new house or a new spouse. I’m afraid I settle for second best. FWIW, after careful A-B comparisons of summing with a stereo cart versus using a modern mono cart (Grado MC+ with dual coils realigned to ignore vertical motion), I failed to hear a difference between the two. I’ve read that coil realignment will reduce noise more than summing and that makes sense, but based on the results of my tests, it doesn’t appear that much is gained from going with a ‘true’ mono cart. Granted I didn’t use a Denon, but the only difference between the Denon and the Grado is that the Denon is single coil. I am just trying to get my head around this mono/stereo issue and from what I read here I am pushed to getting a second deck for mono (not sure how to tell my wife yet, but once I manage to get the record stacks standing before the Expedit actually into it (so, a purge is due) I might have a go :-). Now, and this might be a stupid thing to ask but here I go: I have read somewhere that playing stereo records with a mono cartridge might damage the record. Are all of the Japanese mono re-issues and recent reissues (like Acoustic Sounds etc) real mono pressings or are there like “stereo” pressings emulating mono by having the same signal on both channels? As I understand it mono and stereo have to be cut differently but do all of the modern days reissues are done that way? Sorry if this is a really stupid thing to ask! But these days with companies reissuing Jazz Vinyl based on CD masters you never know what they might try. And would the Ortofon 2M Mono SE be a good start into the mono experience? my recent question, regarding the feasibility of playing Mobley’s Poppin’, Japanese stereo Blue Note album, with a mono only cartridge, is directly related to the present mono/stereo discussion. I would be very happy to be guided by a specialist in this complicated matter. I’m pretty sure that the only way you can damage your records based on what stylus you’re using is by playing stereo records (with stereo information) with a vintage mono cart with minimum vertical compliance. It should be safe to play stereo records with all ‘modern’ mono carts but I would check with the manufacturer to be 100% sure that it has ‘modern’ vertical compliance. My understanding is that old mono records were cut with wider cutter heads and that old mono cartridges had wider 25-micron styli. Modern carts with 18-micron styli play these records back fine, and in some instances even better because they avoid areas of the groove that are worn from past misuse. I once tried using Ortofon’s D25m 25-micron stylus on old Blue Notes and didn’t hear a significant difference. The 2M Mono SE’s stylus appears to have a wider radius for the intent of playing older mono records (and the new Beatles mono records, which were cut with a wider cutter head), but interestingly, the page above says that the cart can play modern mono records with narrower grooves too…? Not sure I understand, as I would think the 2M Mono SE is too wide for a modern-width groove. That page seems to basically be saying that a wider stylus won’t damage your modern mono records with narrower grooves, but the question is, will modern mono records with narrower grooves sound just as good with a wider stylus like that on the 2M Mono SE? You have nothing to worry about with a modern cart with ‘modern’ vertical compliance, but those Ortofons with wider styli, including the 2M Mono SE, I can’t be sure that modern mono records with narrower grooves will sound just as good as they would with a more common 18-micron modern stylus. I would consider the “2M Mono” (no SE) since the stylus seems to have the narrower, modern 18-micron profile. Coils are another issue. From the language the Ortofon website is using, it looks like the 2M Mono and 2M Mono SE both are dual-coil design. That’s not as ‘pure’ as the single-coil Denon 102 design in theory but it seems to me that dual-coil designs are totally legit so long as the coil are realigned to only respond to the horizontal motion of the stylus, which I’m certain they are with the Ortofons (I’m pretty sure that most if not all modern mono carts that are sold as ‘mono carts’ have the coils aligned this way). PS: The only modern mono records I know that were cut with wider cutter heads are the Beatles mono reissues and the Classic Records mono Blue Note reissues. Maybe there’s more but those are the only ones I know of. If Kevin Gray cut those Disk Union DBLP Japanese reissues, which he did, I’m certain he used a normal modern stereo cutter head with identical signals for each channel–the normal way mono music is cut today, which I don’t see any problem with. thank you Rich. Your elaborate reply very much appreciated. I will check with the manufacturer/supplier of my Dorian stylus. Wow, what a wealth of information! Many thanks for your detailed reply, much appreciated! So, back to some more thinking and looking at how many “true” mono records I really have and whether that warrants a dedicated mono deck. I have thorens td 165 with two headshell. One with stereo cartridge and one with mono cartridge. The thorens is connected to the phono input of a Linn majik DSM . About your experience when I listen mono vynil with the mono cartridge I will also need a tool like your stereo to mono switch stereo passive canceller ? I totally agree to what is said. Typical stereo system does not deliver original sound because while it’s not natural way to combine sound of one instrument from two sources positioned in two locations ear reads it . Differences are not avoidable Naturally each particular sound of instrument is emitted from one location. To achieve original we need to switch not only stereo to mono but the most important is to leave connected only one speaker. To solve the problem in some degree without moving to mono I evaluated using of two tweeters in each channel speaker. For interested check my web page diysound.eu. Michal, I tried to decipher the meaning of your web page, I really did. I am not sure if what I found out was what you meant. If it is, it’s among the wildest audio voodoo I’ve ever read about. But I may be wrong. What a tease! 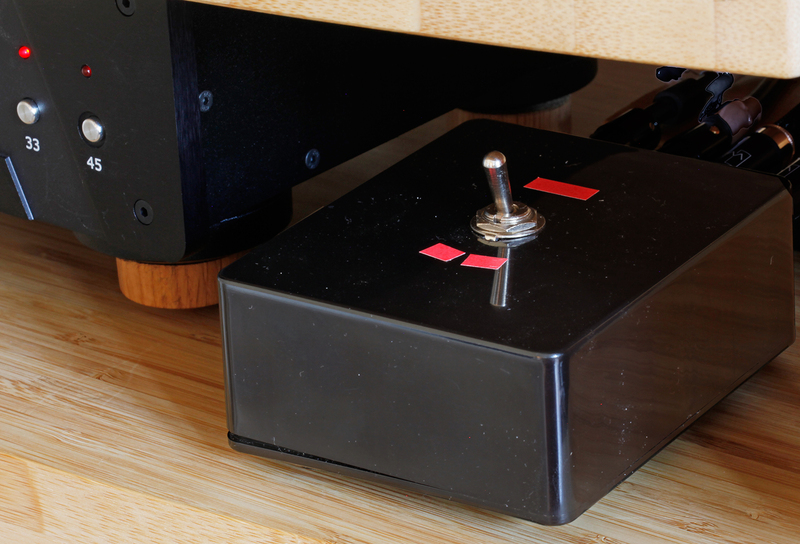 Where can I get one of those black box mono switches? I have no experience in electronics but just thinking about it, it seems like it would be pretty easy to insert a “mono switching box” between the phono interconnects out, and the inputs on the phono stage. Now with the mono Beatles box set out I’m wondering if someone is looking at manufacturing these. I would think there would be some money to be made. I don’t have a mono switch and for some time I would use Y-cables to sum the channels of my turntable output when playing a record that would be especially overbearing. I would often see improvement but it would tend to be just a marginal one. Lately though, I’ve found that the problems tend to only exist in the RIGHT channel, which if I am remembering correctly (which may not necessarily be the case) that’s the channel that experiences the most inner groove distortion, and also where older record players tended to mist rack because they didn’t have settings like anti skate, etc. So first, if someone could either confirm or correct that statement. Secondly,what I’ve been doing now when I’m particularly at a loss in terms of how to make a mono record with some issues sound good on my turntable, I’ve actually is it been doubling the LEFT channel. The results have been great, and I guess the only I need someone to confirm the thought process above is so that I don’t ignore a serious issue with my own equipment (excessive inner groove distortion, worn needle, etc.). For what it’s worth, whenever I play a newer stereo LP, like a nice condition CTI or something, I don’t seem to experience any distortion. Thanks for everyone’s help in advance!!!!!! Your first comment on the right channel of the inner groove getting it the worst when it comes to IGD is interesting, and I had never heard of that before…believe it or not, I think it’s going beyond my level of attention to detail, impressive! 😉 It seems plausible now that I think about it. I would just suggest keeping in mind the following: by summing the channels you are improving the ratio between the vertical noise of the record and the music (the music becomes 6 dB louder in comparison to the vertical noise–in theory, about a 60% increase in the volume of the music when compared to the volume of the vertical noise); if you double the left channel, you are not getting as good of a SNR if we’re talking strictly about vertical noise. You may however get less IGD, in which case you’d need to pick your poison. The best option, of course, is to get a record without IGD inherent in the grooves. Then you can sum the channels and get the best of both worlds! The overhang gauge? I don’t have it but I’ve just be measuring the distance from one end of the headshell to the diamond on the stylus. The manual specifies the length so I have just been using a ruler. In any case, like I said the overhang required is achieved by setting up the cartridge as far forward as possible, so from there I don’t think I really need to tweak the angle of my cartridge…that being said, I feel like it is IMPOSSIBLE to see how my cartridge lines up with a protractor. So perhaps overall I just have a coincidence of a batch of records with IGD prevelant in the right channel, and on top of that my Y cable technique of summing the channels may not be getting the job done. I definitely plan to look into vintage receivers with built in phono preamp and a mono switch…right now I have an 80s/90s Sony receiver and a seperate preamp. Sounds like a plan. FTR it sounds like your alignment is ok (I’d b careful how far forward the cartridge is in the headshell though), in which case the double-Y cable should work wonders if your records are in good shape. I am very late to this blog, but want to comment that while I love well done stereo, a dedicated mono setup to spin mono records sounds wonderful. Neither stereo nor mono is better in my opinion, just very different it their presentation. I decided to build a dedicated mono system around a Miyajima Mono Cartridge on a Nottingham Space Deck, and have not looked back. My record pursuits are now mono originals when available. What that has created is more despair for me because as I have discovered, original mono records are very desirable, therefore rare and expensive. Sigh. The LJC collection counts 687 mono, 438 stereo records. What’s a guy to do? It’s not just the cost of an additional arm/turntable/cartridge, its the cost of a new wife to go with it. My coat’s on a shaky nail as it is with the present set up taking over the house. Kudos for going mono – uncompromising commitment..
687 mono copies – Wow LJC, you can definitely rest on your laurels with a collection like that. Had an interesting mono / stereo experience tonight. I recently grabbed a stereo Hank Mobley ‘Roll Call’ in an early Liberty pressing in VG++. RVG in the wax and decent weight vinyl although not nearly Plastylite weight. When first played it just seemed off. A bit crackly and skewed towards the high end and a wonky mix. Fast forward a few weeks and I clean it on my VPI 16.5 with Walker Audio fluids. Sounds better, but still missing that presence and the distracting characteristics I mentioned are still there. I put it on mono on my pre-amp and seemed better although a touch muted and boomy. I then turned the bass down and the treble up on my tone control and voila! Engaging Blue Note music as it should be! It even got rid of any remaining crackle. I’ve also found that hitting the mono switch for some stereo CD’s can really help soften up the sound as they are often somewhat bright. The mono switch was also left on last night when my 2.5 year old daughter was listening to her ‘Music Together’ album. I didn’t realize that at first, but did immediately notice that her music seemed to sound better than before! The other effects you describe are possibly symptoms of “issues” elsewhere in the system. You change one thing and some other thing pops up somewhere else. I definitely can’t explain it, but seems to be how things work. I don’t buy that personally. One of the main reasons I like vinyl is that you get as close as possible to how the music was originally intended by the artist, at least original pressings do. But later re-issues or re-masters or CD’s are often far removed from that. If there’s a way to make the music seem more alive through tone controls I am all for it. This particular copy of Roll Call was a perfect example of that. I found a new way to get all the benefits of the mono box without the cost….twist off one of your cartridge leads by accident. Now I get all mono all the time. An seemingly eloquent solution! Have you considered posting simply the schematic and parts list with instructions for us amateur audiophiles to reproduce on our own? Hi, I don’t have the first idea how to make one myself, but I know a man who does. I’ll put your request to Man-in-a-Shed who made it for me. See what he comes back with. Man-in-a-Shed is venturing out of his shed tomorrow, to make one of his occasional visits to LJC Towers. I’ll press him on the subject of a parts list. I believe these clock something like $3,000 per speaker set, making them nearly more expensive than the speaker itself. I am told they are well worth it – who am I to argue? They may well be. Just because something is outrageously expensive doesn’t mean that it doesn’t work. Wouldn’t it be great that every now and then there are solutions for problems that aren’t necessarily the most expensive ones? Would love to hear them though, open for anything. A few weeks ago I had the opportunity to play on a 60,000 euro costing record player. The acoustics of the space was horrid, so the sound was okay. I took a few original blue notes with me, but the best sounding record was Art Blakey’s Jazz Messengers&Thelonious Monk on a stereophonic London press (it being in a sublime condition might play a part with that as well). That player felt best in tune though, when I gave Barry White’s Sheet Music a spin. That same day I’ve listened to Avantgarde horns on such a high volume level that they proofed themselves useful as ship horns. I’d love to hear them another time, on decent volume.. Some people just have the money but lack the vision huh? Luckily you get your man from the shed in the tower. Intel, good ears, common sense, proper taste and maybe a bit of money makes a set right? Going back on the subject, after experiencing some acrylic underneath my speakers I finally understood that some turntables are made of acrylic not just for aesthetic reasons. Another thing I’ve read was African blackwood and yes, there we go… I’ll stick to the acrylic thing for now. Crafty as this guy is, I’m going to use a lasercutter to make these feet for my gear. · An ABS box to fit it into. In the ‘on’ position the switch connects either just the two signal wires to each other (left and right) or both the signal wires to each other and the earth wires to each other, depending on the source going into the switch. Both configurations can be tried. With the switch off the signal and earth simply go from the input phono sockets to the output phono sockets of the box. Thank you and the Man. I’ve got the gear and montaged them in it’s box. When buying the stuff and explaining the plan they told me I needed to put resistors in it as well because otherwise it will short-circuit? My Shed-esque man has time next week, we’ll check it out and will post the results. Resistors are not needed. The way a mono switch works is to join the two signal wires together. This cancels the out of phase signals (crackles, pops etc) and leaves the mono signal only. You may also need to join the earth wires together depending on how your system is configured. This is why I specify a double pole switch. If you don’t need to join the earth wires, or if joining the earth wires creates a hum, then just use one pole of the double pole switch. The quality of the switch does not have any impact on the sound. The signal does not go through the switch. 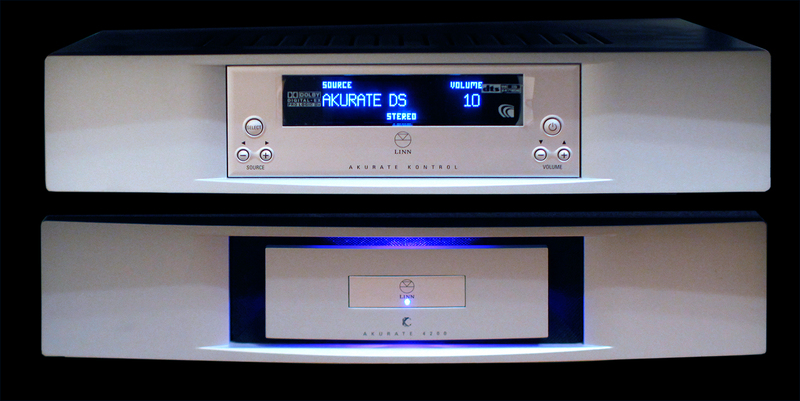 The quality of the phono sockets and the wire to join them together will have an impact on the sound. Buy the best you can afford! Once again, check the circuit diagram earlier on in LJC’s post. Man-in-a-shed, LJC, thanks. It’s getting used as I type. Still is a bit harsh, but I blame that on fresh silver and a dl110 that’s not perfectly aligned yet. The circuit diagram was really clear for my friend. Thanks! I totally agree mono records are better heard via mono, but if you use a Mono cartridge, there is an added benefit. Audio signal is encoded in the horizontal direction for mono grooves and a well designed mono cartridge will only pick up horizontal vibrations. What this means is that all the vertical vibrations caused by grease, dust etc will not be picked up by the cartridge. A stereo cartidge will pick up all those noise. can you say me where we can find this mono adapter,please.I send you this mail from france. Hi Jaques – we have not found any commercial manufacturer. The switch is “home made” and as you can see from the above photo, it is not proving possible to post reliably internationally without catching the attention of security services – they just love something that looks like it might be a home made suspicious device – a box with wires in it. I will forward your email to my friend who makes it but I would not be optimistic.It has caused a bigger problems than anticipated.